Thirteen years. Can it really be that long ago that my life was severed in half? With. Without. While my heart fights to believe the truth, my head reminds me of the facts. Thirteen years ago today my eighteen-year-old sister’s life ended. Wow…that is hard to type. Thirteen years ago today, my family and I began a journey of grief. Grief that truly cuts like a knife. Grief that screams “Why?” over and over…and still thirteen years later…over. 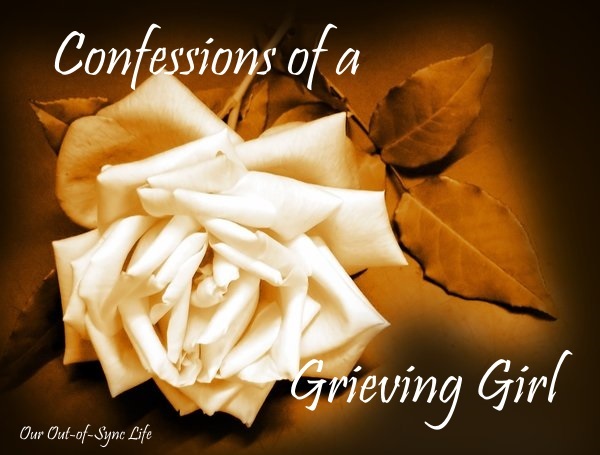 A grief that is desperate for answers, closure, and sense in the agony. Read a post written in 2011. While I will never understand God’s plans and thoughts (Is 55:8-9), He gives me “kisses on the cheek” to make it more bearable. The story below is one of these kisses. It is a two part blog story that happened two years ago. I pray that you will take the time to read this post from 2011 and share this personal story of beauty from ashes. Sometimes it hits and it hits hard. Smacking me on the face when I least expect it. When I think I am “healed” and “doin’ well.” Wham! Today was the day. I woke up from a round of horrific dreams. The kind that feel so real that you spend the day thinking your dream truly occurred the day before. Not sure if this is what caused them but one week from today will mark 11 years. Eleven years from the date that my first life ended and my second life started. Sounds a little freaky but it is so true. I think of my life as two lives put together – the 22 years with my sister and then the 11 years without. At the very moment that my Dad told me the heart-ripping news that my sister was gone, the Grand Canyon swooped in and cut my life in half. As I journey through this second life, I never know when it is going to hit. Grief. Will it be something that someone says? Tears. Will it be something that I see that reminds me of my little sis? Pain. Maybe the heaviness will occur because of some graphic dream that causes me to hope sleep doesn’t come for a long time. For this and that reason, I am really dreading the 11 year anniversary. In all honesty, the ten-year one came and went and by the grace of God I was okay. This year it has been different. I am holding my hands up to the calendar trying to ward off April 19th from approaching. After a rough morning, I called my sweet friend begging for prayer. She lost her mom to cancer just a few years ago. Immediately she prayed with me, listened, and encouraged me. In her understanding, she asked how I was feeling. Angry? Scared? Fearful?